Okay, it’s not really a yarn, as in a tall tale, but I could not resist the play on words! The other day I posted a long overdue update and included some information about Ficstitches Yarn Club. To give you a better feel of the projects, here are some snaps of a few of the projects that I have made. I have participated since almost the beginning and love the stories and projects provided in each quarterly kit. I missed the first few kits, but was able to buy books I missed on Amazon. The Secret Stitch: Unraveling, Book One contains the first three books offered through the club and The Sojourn Stitch: Unraveling, Book Two contains the next two club books. Crochet patterns inspired by the stories and designed by Laurinda Reddig are provided in each kit. If you missed any of Ficstitches Yarn Club quarterly mailings, designs from past kits are available for individual purchase on Ravelry. 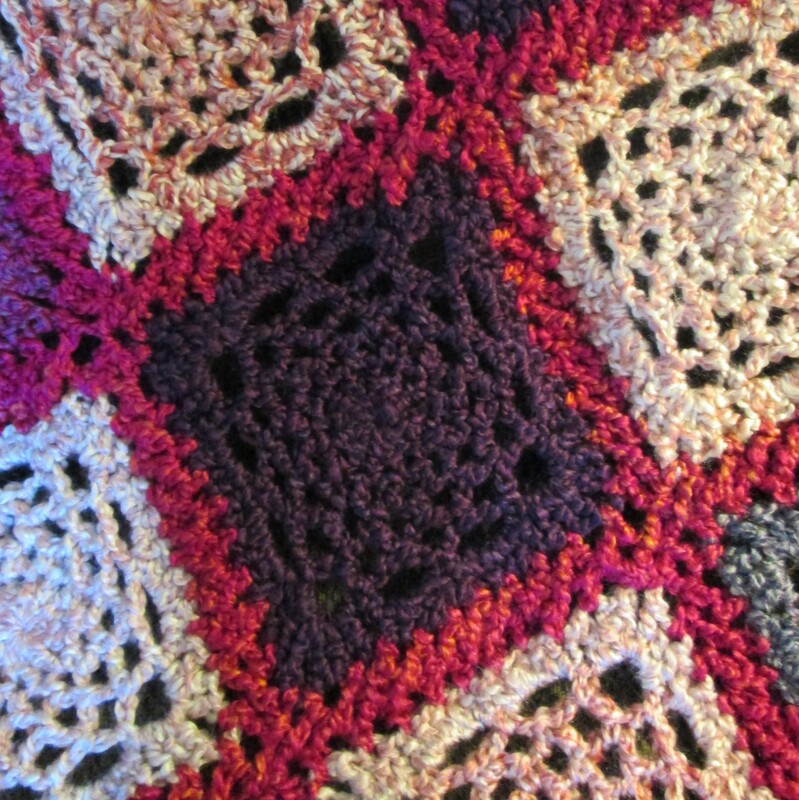 You can find these patterns and more at Laurinda’s Ravelry store ReCrochetions. I always feel a little sad when finishing one book, but eagerly await the next in this fascinating series. I can’t believe how long it has been since adding a post (not that I haven’t been busy making things). Guess I just let writing about was I was making and doing slide a teeny bit. These pictures show just a few of the items that I have made so far in 2018. Currently, I am working on The Cosmic CAL which is sponsored by Stylecraft. Another CAL, which is truly enjoyable, is the 2018 A Year in Crochet CAL with monthly original designs by Lorene Eppolite of Cre8tion Crochet. If you enjoy reading (like I do) you might enjoy Ficstitches Yarns crochet kits. Each quarter they offer an original fictional story (in two parts), written by C. Jane Reid, an accessory pattern, from crochet designer Laurinda Reddig, inspired by the book and beautiful hand-dyed yarn to complete the project. A project bag and some extra goodies are also included. You can find more about Laurinda and her designs on her blog ReCrochetions. I hope you check out some of the links I’ve included. Until next time . . .